The weakest link in a computing system is usually the one between the computer and the user. The system includes more than just the hardware and the software. 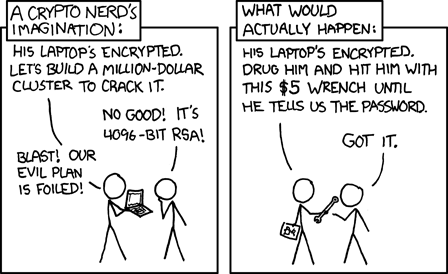 I expect that Schneier will have something to say about rubber-hose cryptanalysis later.